Lawrence lived in Ipswich but spent two years making the journey to Edinburgh on a weekly basis, and proved to be one of our post popular riders. 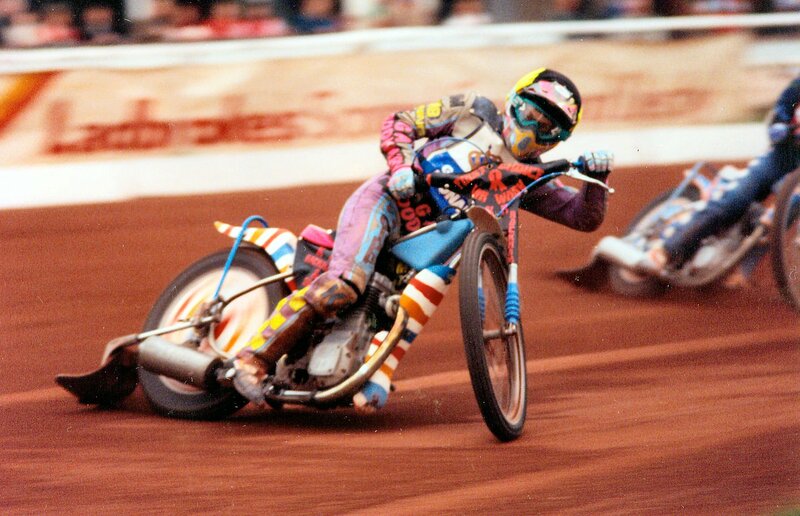 We had offered him a place in 1993 but he apologetically turned it down and went to Rye House, much nearer his home. With the Rockets he was rider of the year but in 1994 he did join Monarchs, giving us spectacular service for the next two seasons. He recorded a famous 21-point max in 1994 against Sheffield, though at the end of the season he was very disappointed to fail to score in the cup final. He had a slightly less profitable season in 1995 on a slicker track. Many will remember his handstand-walk on the final Powderhall victory parade. Sadly he later suffered bad injuries while riding for Exeter and is now in a wheelchair.